Going back to the 25th anniversary well, Airborne was another figure I really wanted to see recreated for the new line. What we got was not without flaws, but a good looking if not entirely playable figure. If you’re into revisions that look good on a shelf and are able to achieve a few decent poses, it’s a figure for you. 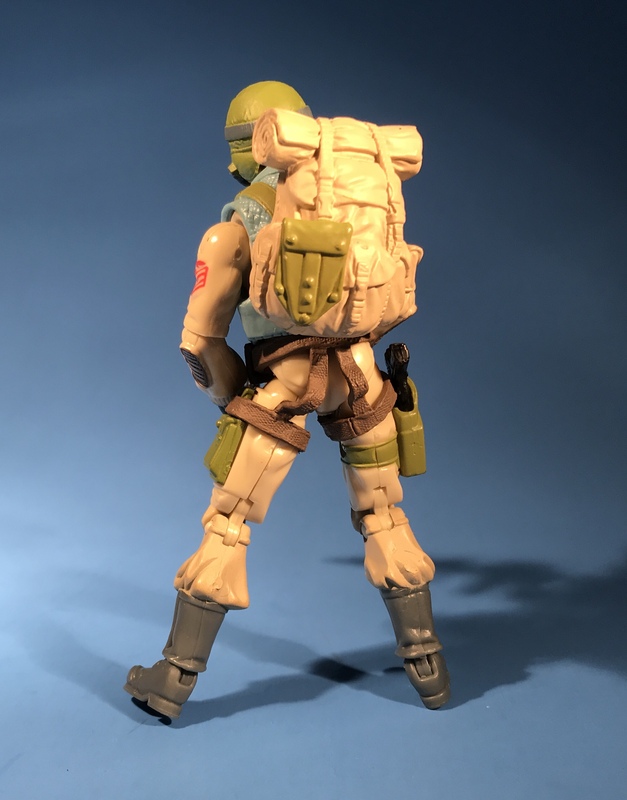 By the second year of the series, I was anxious to see just how many figures Hasbro could squeeze out of what surely would be a mix of a limited amount of new parts and existing material from the line’s inaugural year. Funny enough, the same could be said for parts reuse going back to the original Airborne. 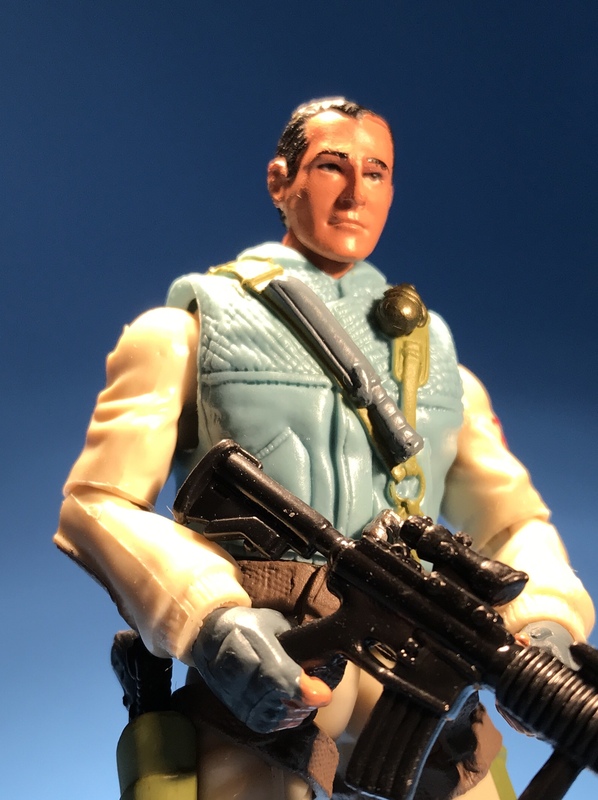 Whereas this toy used bits of Snake Eyes and Gung Ho from a previous assortment, the first Airborne donated his parts to Scrap-Iron and the Steel Brigade. 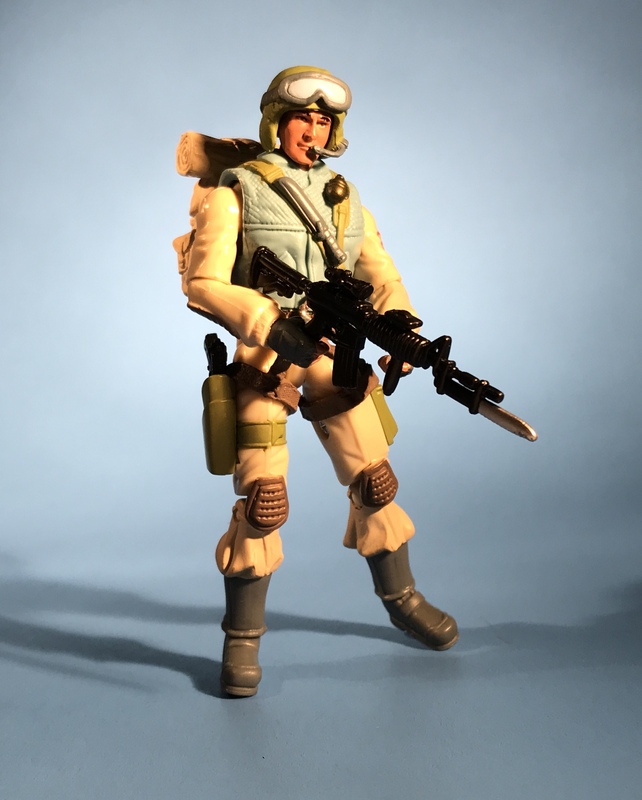 Airborne was one of the first figures I bought back in the day. 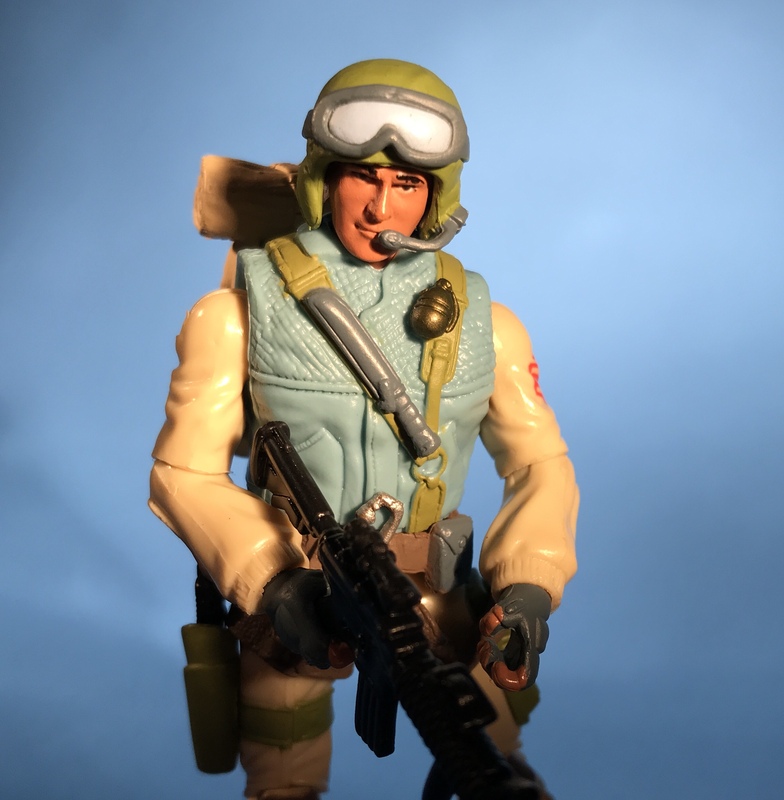 I thought he was a Cobra when I picked him up, since he wasn’t wearing olive drab like all the Joes at the time, but once I got him home I realized he was actually a good guy and that Joe uniforms in the new year’s line were branching out from solid green. Despite my disappointment, I liked him anyway and was always a little sad they didn’t do much with him in the comics or cartoon.